The Finnish guitarist Timo Korhonen (b. 1964) is one of the most versatile proponents on his instrument in the world. Freedom of interpretation, bearlike strength and richness of sound are components of his deep-rooted artist persona. Korhonens interpretations are natural, strong in contrast and uncompromising in their aim at reprodusing the content of a composition in as true manner as possible and with the profound understanding of its style. Timo Korhonen is an ardent promoter of contemporary music and has premiered over 40 works. Several composers, including Magnus Lindberg, Leo Brouwer, Toshio Hosokawa, Usko Meriläinen and Jouni Kaipainen, have dedicated works to him. Korhonen likes to construct his concert programmes by using the tension caused by unprejudiced juxtaposition of musical styles. Since September 1999, he has performed one of the strangest key works of the 20th century: Sonate in Urlauten by Kurt Schwitters. Korhonens performance of this 35 minutes lasting phonetic dada sonata has generated interest and confusion in many places. Timo Korhonen is an active globetrotting soloist, chamber musician and teacher of masterclasses. He has appeared in over 30 countries at distinguished festivals including The Berlin Festival, London, Chicago, Vienna, Strasbourg, Paris, Rome, Madrid, Buenos Aires, Festival Atempo Caracas, Tokyo, Ars Musica Brussels, Ojai Festival California, Hongkong Chopin-Festival, Schleswig-Holstein Festival, Havana Festival, Mexico etc. He has performed as a soloist with the Dutch Radio Chamber Orchestra, the Helsinki Philharmonic, Staatsphilharmonie Rheinland-Pfalz, the Finnish Radio Symphony Orchestra, the St. Petersburg Philharmonic Chamber Orchestra and the Avanti! Chamber Orchestra; and with the conductors Esa-Pekka Salonen, Leif Segerstam, Jukka-Pekka Saraste, Sakari Oramo, Joseph Swensen, Tuomas Ollila and Osmo Vänskä. His teachers included Oscar Ghiglia, Seppo Siirala and Pekka Vesanen. 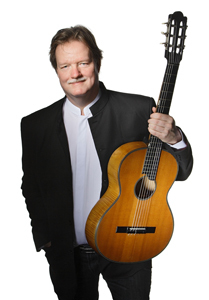 Timo Korhonen is the founder and Artistic Director the Guitaristival, an international competition and festival in Finland, and was the Artistic Director of the Suomenlinna Culinary Concerts in Helsinki from 1998 to 2000. He teaches at the Turku Music Academy in Finland and since 2005 has been appointed as Visiting Professor at the State Conservatoire 'Luigi Cherubini' in Florence, Italy. His students have won over 40 prizes at international competitions. Timo Korhonen's recordings on Ondine have won an enthusiastic reception by international critics and the audience. His rendition of Leo Brouwer's Concerto "Helsinki", which the composer dedicated to him, won a Cannes Classical Award in 2003, in addition to being selected as 'Disc of the Month' by the North American online record magazine ClassicsToday.com in April 2002 (ODE 979-2). Timo Korhonen plays a Brian Cohen guitar dated 1996.